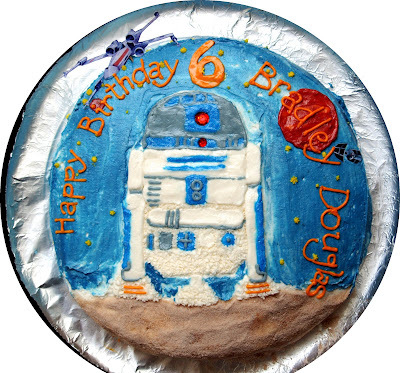 Heidi Sonboul: Happy 6th Birthday Bradley!!! 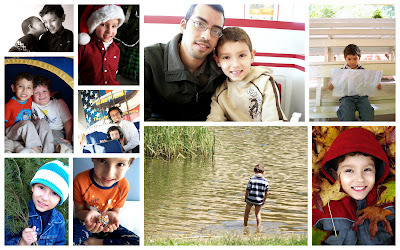 I can't believe it's here... my Bradley (tomorrow/Sat) is now 6 years old! The time went by so fast and I can't believe how tall he is. Tomorrow (Saturday) to celebrate, we are taking the family to Disneyland. He has no clue that we are going and it's going to be a fun surprise in the morning. This morning I made this simple cake for him. lol can you tell he's into Star Wars???!!! Later today we are surprising him with a small party. Just us, Nana and Pappy and Maybe Meagan. Anyways, here are some photos I took over this past year. They are a few of my favorite Bradley photos. Happy Birthday Monkey Cheese! WE love you SOOOO MUCH! PS Our car is in the shop and we just found out it's going to cost $2,500 to fix it. I feel so blessed we have a savings! Happy Birthday to Bradley! such a cutie! loooooooove the cake! have fun at Disneyland!!! Oh happy day to Bradley! Get some good shots tmr Heidi I can't wait to see the pics! Especially at the Star Wars ride!